A little over two weeks ago, the Colorado Avalanche looked dead in the water. It appeared time to focus on draft picks and free agency. The list of challenges was long. Goaltending had been uneven, at best. Both Philipp Grubauer and Semyon Varlamov had averaged save rates in the .800’s through December and January, helping to put the team in a hole. The power play suffered a power outage and the penalty kill proved porous. The nail in the coffin, though? The Avalanche’s captain, Gabriel Landeskog, was injured in a loss that dropped the team out of playoff contention. News reports came out saying Landeskog would be out at least four-to-six weeks. Turn off the lights, the party was over. But something strange happened for the Avalanche. They managed to climb back into postseason relevancy in the past two weeks. The team went 5-2-1 in the eight games after Landeskog’s injury, including two division road wins against teams near them in the standings. One of the primary keys to the Avalanche’s change in fortunes came from Grubauer, who rediscovered his game. In his last eight contests, he went 6-2-1, with three shutouts, allowing only 1.125 goals-against average (GAA) and earning a .961 save percentage (SV%). Grubauer’s performance in the past week earned him the NHL’s 3rd Star of the Week. He earned the recognition for leading the Avalanche to a 3-0-1 record while saving a league-high 149 saves. He earned a 1.49 GAA and a .961 SV%. He has been one of the hottest goaltenders in the league recently. But he is not alone. The Avalanche defensemen have become scoring threats, contributing on 16 of the team’s 20 goals over the eight-game stretch. Blueliner Tyson Barrie racked up seven points off of four goals and three assists. Samuel Girard contributed four assists. Both Ian Cole and Erik Johnson earned three points apiece. The only game the defense came away scoreless was the Buffalo matchup which the Avalanche won 3-0. Of the Avalanche’s 20 goals, star forward Nathan MacKinnon had points on eight of them, leading the team in scoring. MacKinnon scored key goals in two of the wins and tallied three goals and five assists over the eight-game stretch. But more importantly, even when he hasn’t been hitting the net, he has been pushing the play down ice, creating dangerous scoring opportunities and keeping opponent’s defenses on edge. Fifteen different Avalanche players contributed on the 20 goals and 12 of them racked up at least two points. The scoring has become a team effort and it’s paying off in wins. And because most of the games have been close heading into the final minutes, the Avalanche were able to score five empty-net goals in separate games. They have been opportunistic. It’s not all been good news, though. The power play has not been as dynamic, scoring only twice in 24 chances with a single man advantage in the last eight games. However, they have also scored both times the team had a 5-on-3 power play. The team has converted on 16.67 percent of their power plays and only 8.33 percent of their 5-on-4 chances. However, the Avalanche’s season average of 21.9 percent success on the power play places them eighth-best in the NHL. The team also has the most power play opportunities in the league. Colorado needs to re-discover how to capitalize on their power play chances. It could make the run to the playoffs significantly easier. Of course, the Avalanche also lead the league in the number of times they have been shorthanded. For the season, the team ranks 28th on the penalty kill, successfully killing 77.6 percent of their penalties. Over the last eight games, the team has only allowed three goals on the 18 times they have been down a player, respectably killing of 83.3 percent of their shorthanded situations. It’s a significant improvement. The real test will be to see if they can sustain it. Of course, having a goaltender on a hot streak significantly helps those numbers. 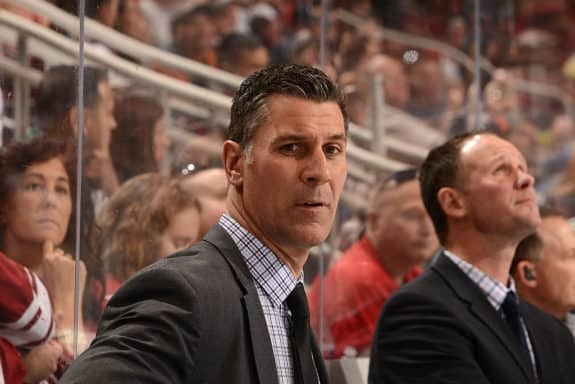 Coach Jared Bednar also made an unconventional move which may have helped the team their last five games. He shifted the Avalanche lineup. Instead of running out the usual 12 forwards and six defensemen, he elected to go with 11 forwards and seven defensemen, adding rookie Ryan Graves to the mix. 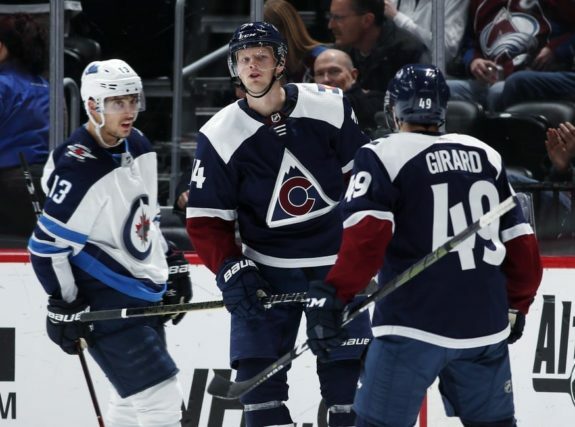 Bednar stated the changes offer him the flexibility of running different combinations of players, which he believes will keep their opponents off guard and encourage the Avalanche players to be more alert. The new alignment, though, appeared to create challenges for the Avalanche on the second night of their back-to-back against the Chicago Blackhawks. By the third period, the team appeared to run out of gas. It may have cost the team an overtime loss as even MacKinnon was unable to keep up in the extra frame. Four straight wins and an overtime loss on a back-to-back makes it hard to question the coach’s decision, but it’s a risky move. Colorado has a lot to overcome, though. 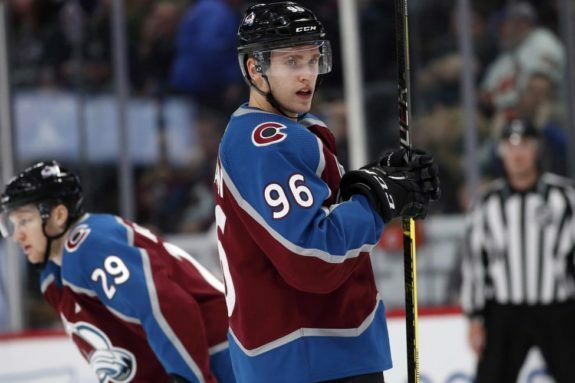 The Avalanche are struggling with depth as players are battling through injuries. They are playing without their captain. 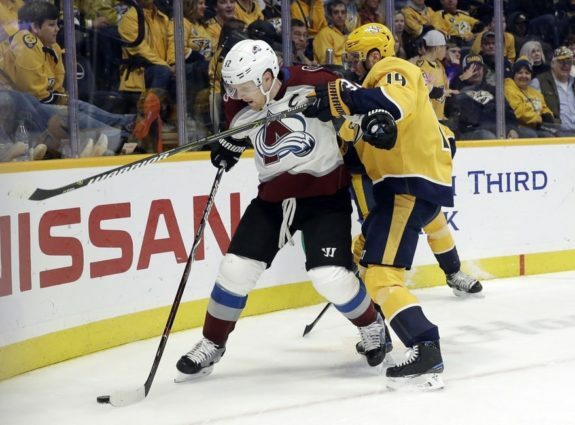 His linemate, up-and-coming star Mikko Rantanen, got banged up in the Avalanche’s win over the Dallas Stars and was unable to play in the last two games. 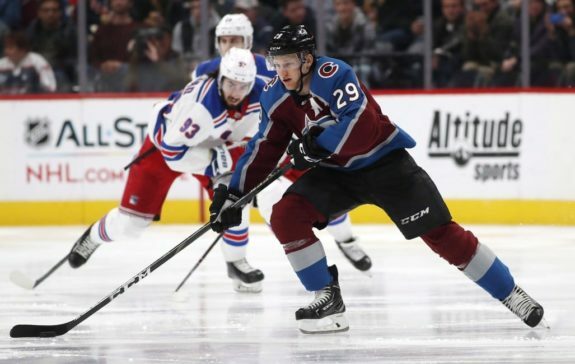 Rantanen’s return appears uncertain. The team hasn’t even specified the injury and has not offered a timetable for his expected return to the lineup. Center Vladislav Kamenev was lost for the season before Christmas. Feisty forward Matt Nieto was supposed to be gone for the season but may return against the Vegas Golden Knights. Defenseman Mark Barberio only played 12 games after getting banged up. And fellow blueliner Cole just got the cage off his helmet after sustaining a serious eye injury. Those are just the injuries announced to the public. Other players are seeing limited usage or are “healthy” scratches. The Avalanche have a history of under reporting injuries. Last season, after getting knocked out in the first round, defensemen Nikita Zadorov and Patrik Nemeth needed shoulder surgery. Their injuries even carried over into the start of this season. Who knows what other bumps and bruises the current roster may be playing through. The public may never know. Whether Landeskog and/or Rantanen can return may very well determine how the team finishes the season. The race down the stretch will be tight. The Avalanche currently sit precariously in the final wild card spot, owning the tiebreaker against the Arizona Coyotes. The Minnesota Wild are hot on their heels, trailing by only two points. Fortunately, Colorado has a game in-hand on both teams. Both the Edmonton Oilers and the Blackhawks still have a shot at the playoffs, as well, trailing by five points. The Western Conference wild card race could once again come down to the final regular season matchup. Over the Avalanche’s remaining six games of the season, four of them are against Western Conference teams that are at least nine points ahead of them. The Avalanche will also host one team vying with them for the final wild card slot – the Coyotes. It’s not ideal. But for the Avalanche, playing meaningful games at the end of the season is a pleasant spring surprise after a very dreary winter. The Avalanche have an uphill battle to make the playoffs. But if they can keep finding ways to win, Colorado can make the postseason. As the team has found ways to battle through, the players appear to be gaining confidence. Regardless of the outcome, the Avalanche can come out winners. 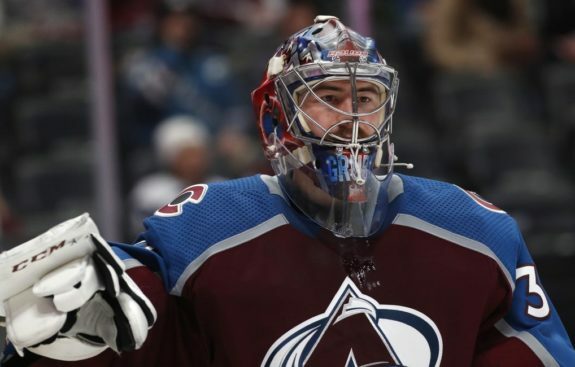 Learning how to win with their backs against the wall is a valuable experience which could pay big benefits next season when the Avalanche could be primed to go deep in the playoffs. The final six regular season games will definitely be a roller coaster ride. Just remember, two years ago this team had one of the worst season’s in history. Colorado is building towards a winning franchise. The growing pains may be challenging, but it’s a lot better than already being eliminated from postseason contention. Just look at the Ottawa Senators. Sit back and buckle up, folks. It’s time to enjoy the ride!